Picture this: A red lipstick that universally adjusts to the most flattering shade for each skin tone. A green lipstick that changes, when applied, into a different shade of the perfect pink for each person. A clear gel that instantly turns into your natural flush color when applied on cheeks. Is this the beauty-tech futuristic blockbuster starring Emma Stone? No, but get on that, Hollywood. This is makeup now, with the power and tech of pH altering makeup. Turns out it is easy being green (when it changes to a flushed pink lipstick). Speaking of making others green with envy, Sassy Lips also produces a green pH balanced lipstick called “My Life RN” that alters into a long-lasting fuschia (and when I say “long-lasting,” I mean it wouldn’t budge for over six hours when swiped on in office). 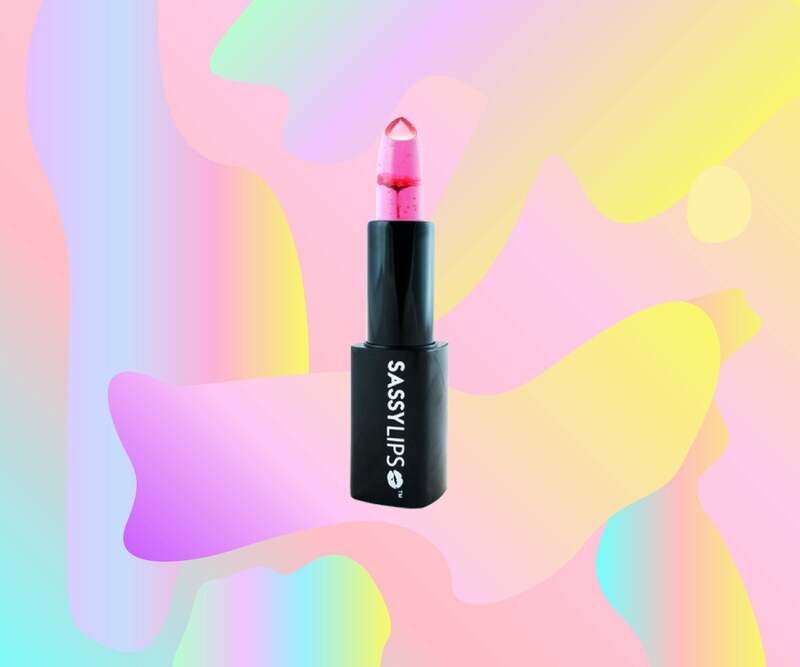 This shade was the first color-changing lipstick Sassy Lips founder Sean Pelton created as a gift for his then-fiancee, now wife, as an engagement gift. And the science behind the shifting lipsticks? “The shade changes according to pH balance and body temperature; the warmer your body is, the deeper the hue is,” Pelton says. Another conversation starter from Sassy Lips is the limited edition “Make the Moment” collection with a real miniature flower and gold flakes in the middle of a jelly lipstick, and they all create a unique-to-you pink, long-lasting shade. I’m really partial to “So Many Feelings” for the perfect berry stain that—no joke—lasts for hours. But don’t let your lips have all the fun. Smashbox makes a much-loved blush called “O-Glow” that is said to make a subtle flush that fits to every shade of skin. Ruby Wing has trademarked SolarActive® Technology in their nail polishes, which makes colors shift dramatically when interacting with direct sunlight. “I Conch Wait” is especially striking when the colors change from sparkly pink to ruby red. Dr. Jart+ launched a green-to-beige color changing cream called Tiger Grass Color Correcting Treatment that corrects and conceals redness by adjusting to your skin tone, while protecting from UV rays. But there are a few other favorite color-defying lip options that I love. MAC Tendertalk Lip Balm is creamy, hydrating and creates a variety of soft pink colors, based on your body chemistry. The Body Shop’s Lip & Cheek Velvet Stick is a poppy stain for both lips and cheeks that can change from bright pink to deep orchid, depending on your skin tone.